It’s time to look at another one of the MyNintendoReward games that I got recently. With this, the only one that I haven’t completed yet is the Legend of Zelda one which admittedly could be a while. It’s been a fun ride and these small games have been a nice break from the big ones. To say that this game is short would be an understatement, but since it was only 2-3 dollars that really isn’t bad. Naturally it isn’t quite as spectacular as Freedom Planet, but it’s a very unique game with a gimmick that works quite well. 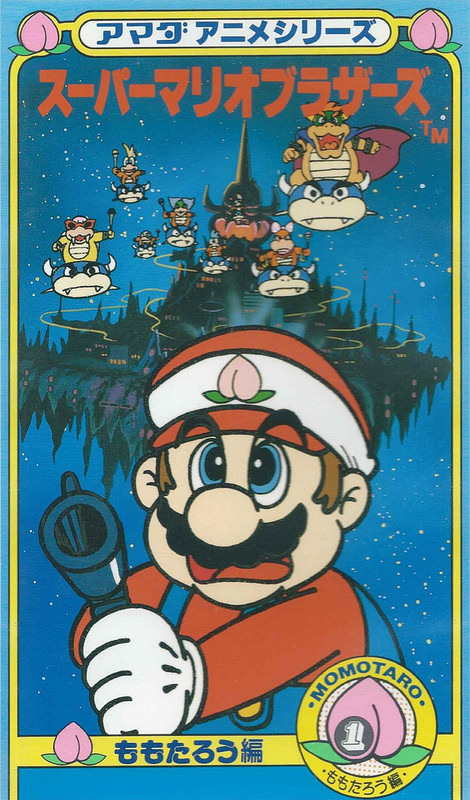 The plot is fairly basic as the princess is kidnapped by some villains. The poor Kappa is the only one who remembers her getting kidnapped, but he isn’t a fighter so he waits until someone can back him up. Hundreds of years pass and no one is worthy, but finally a samurai shows up. The Kappa gives him petal powers which allow him to slice and dice the zombies. Finally, a hero has emerged. Still, will this kid really be able to stand up to the evil armies that are before him? The gameplay is a reaction game which is the first of its kind that I’ve played. I don’t even know of any others. Basically you are in a 3D environment surrounded by enemies in each level. You have to wait for them to attack you and then you either dodge to the left/right or backwards. After you dodge you rush in and land a counter blow. If you time the dodge right you will get to strike back twice. However, if you attempt a second strike but didn’t dodge quickly enough then your sword will take damage instead. Mess up too many times and your sword will quickly become worthless. Sharpening the sword is pricey so if you aren’t sure about going for the 2nd strike just be satisfied with 1. The more you fight the enemies the more you will master the timing. You can also buy kunai which you can use to preemptively attack with or a frog that distracts the enemy while you strike. The best items in the game are the rice balls and revive though since they can help back you up against the stronger enemies. There is also a gold cloth that works the same way as in Saint Seiya and it will give you absolute protection against any attack. It won’t last forever though so use it wisely. Each level typically consists of around 5 enemies, but the boss level on each land is comprised of 6-8 rooms with the same amount of enemies so bring a lot of health items for those. The final boss is definitely very tough and the game jumps a few levels there. The game is never easy but that’s likely the only part where you will have serious trouble. I had to do some minor grinding to quickly stock up on enough gold to buy the maximum amount of every item. Even then I just barely won. If this doesn’t work out for you, try to complete a bunch of the side missions in town to increase the amount of health items that you can hold. This game is pretty fair in how it rewards repetition so as long as you keep playing you will definitely be able to vanquish the boss sooner or later. The graphics aren’t the best, but they’re not bad. I just don’t care much for the main character’s design as it has the crushed nose look which hasn’t aged well. The villains look reasonable even if none of them are all that memorable. I do like the petal effects whenever you hit an opponent. I can’t really recall the soundtrack all that well either so you’re mainly in this for the gameplay. Of course, at the end of the day that’s the reason you’re playing any game right? The gameplay holds up quite well and makes the 3 hours fly by. I ended up playing the whole game in one sitting except for the final boss where I had to put the game down for a bit. There isn’t much in the way of replay value though. You can beat the challenges as I mentioned, but that’s about it and it won’t take you very long at all. You also unlock some survival modes in the main menu which can be handy. They’re pretty simple tasks like beat 30-100 enemies and shouldn’t be too much of a challenge for you. Maybe the 100 one depending on how strong they allow your sword to be. Pro tip, upgrade your sword as soon as possible whenever you get the chance. It makes slicing through the armies a whole lot quicker and in general it is just more convenient. It’s a permanent upgrade so it’s better than buying something that will just go away. Don’t be afraid to lose either, whenever you fail the Kappa appears to help you earn some gold. Make sure to go into town and save from time to time as well. I couldn’t figure out how to save the first time around so I made it to the castle and then ended up losing my progress. It won’t delete your data unless you attempt to go to the main menu, but that’s still not something you want to risk. Going into town is always handy in general as well. If you land a good combo without getting hit you can sell the combo to the local shop for some money as well. It’s a good way of rewarding your dodging skills. 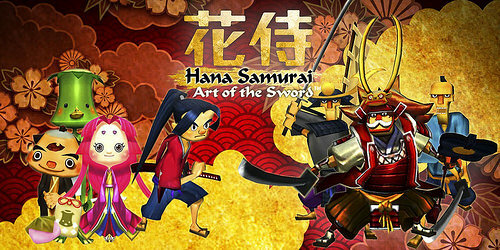 Overall, Sakura Samurai was a pretty fun game. It’s definitely short, but at a rate of an hour per dollar that’s not bad at all. I’d recommend checking it out even if just to test your reflexes. Are they as sharp as you think they are? If so then this game will be a breeze, but if not then you could be in for some trouble. Now it’s going to be time to finally check out the critically acclaimed Sonic Mania. I’m ready for those fast paced levels! Pokémon has always been a franchise that is stocked full of high quality games. It’s hard to recall a single main game that wasn’t absolutely amazing and that’s probably because one doesn’t exist. These games are 9 star worthy and Sun is no exception. 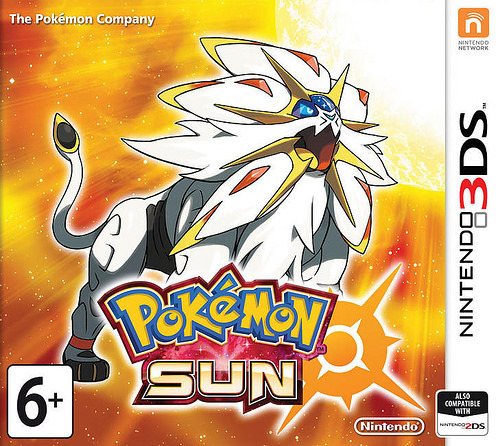 While I do prefer Y, Sun adds a lot of interesting mechanics and even challenges the notion of what a Pokémon is by adding in a bunch of aliens and monsters much like Deoxys. The game starts off with a bang as we see a girl running away from a group of villains. Just as she is about to be defeated she manages to warp away just in the nick of time. We then cut away to the main character, Terry. He has moves to Alola and has decided to take the Island Challenge which is essentially this game’s version of the Gym Leader system. Nobody ever said the quest would be easy and our young hero knows it, but that has never stopped him before. Along the way he will have to deal with many villains and global threats but Terry is determined to take them down to prove that he is the best. 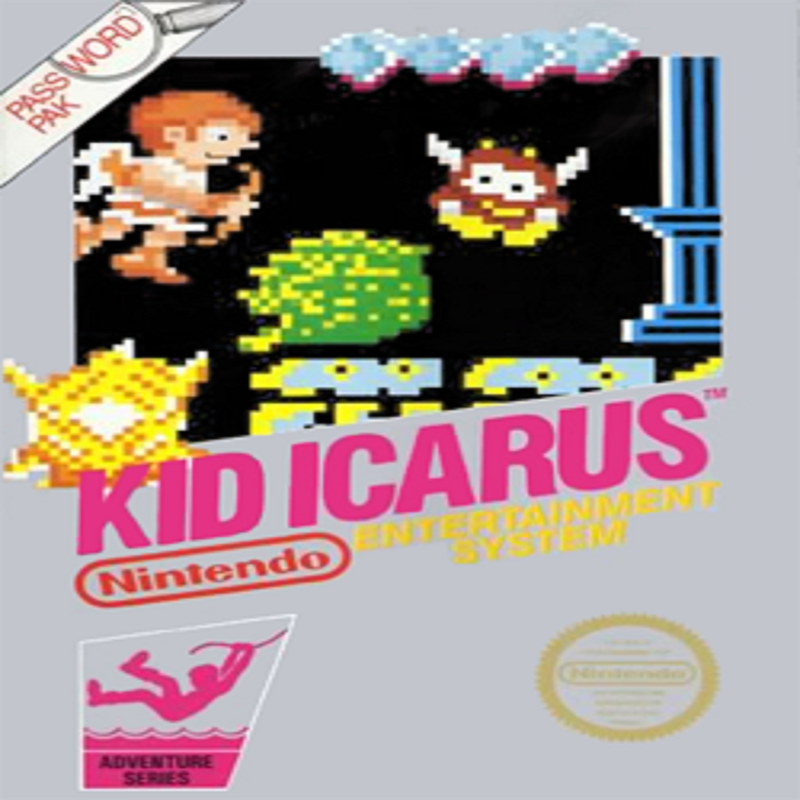 The gameplay is classic turn based combat at its best. To this day Pokémon is known as the best at this system and it’s easy to see why. The turns are fairly quick with almost nonexistent loading times and the game has a lot of depth even though you only get 4 attack options. A new feature for this game is also the ability to use wild Pokémon to get around instead of using HMs to teach your Pokémon these skills. It’s a pretty nice change since you effectively don’t need to waste a spot anymore. Let’s talk a bit about the cast. I have to say that Hau is easily the worst rival of the series and possibly the franchise. Purely as a rival at least since this guy never even comes close to getting on Terry’s level. Almost as bad is the fact that he doesn’t care and seems to be content staying in second despite some half hearted dialogue that implies the opposite. As far as I am concerned Hau is just a bit of a miss and may have a shot at being the weakest character in the game. Not physically but in terms of character. Lillie is a fun heroine and it’s nice to have one that learns about the importance of battling. At first she is certainly not a fan of it but by the end she has decided to start training in this style of combat. With or without the character shift her character already has more personality than many other such characters. The main villain is also a very solid character and potentially the best villain yet. She has a solid design at the end and her ambitions are pretty decent. She is rather psychotic and doesn’t realize how evil she is but the justifications help make her a fun villain to root against since she is so in denial of what is happening. I do think the anime dropped the ball on this one. Since Hau couldn’t cut it as a rival the game gives us a second one who is more of a match for Terry. Gladion has a pretty good theme and his Pokémon is interesting since it looks very unique. It definitely appears to be man made right from the start so of course you will start to wonder how this kid got one. He gets a big role in the climax and was one of the low key standouts of the game. Then we have the leader of team Skull who never really gets to do a whole lot. Guzma could have been cut out of the game and not much would have changed. His team in general just wasn’t that good. I suppose it makes some sense that they would seem rather directionless since they were more of a red herring than anything else but it would have been nice if they could have been at least a little formidable. Instead they were a joke right from the start. Going back to the man made Pokémon, this game definitely toyed around with the idea of different kinds of a Pokémon more than any of the other games. We had monsters who looked like Digimon from space and that helped to mix things up a bit. The Alola forms of the old Pokémon are nice but only when they are supplementary like in this game. I wouldn’t want them to take the place of a new generation or anything like that. The graphics are the best that we’ve seen from Pokémon or at least the most cinematic. Now we can get full cutscenes throughout the game to ramp up the intensity. It does make the reused character animations a little more noticeable though as each character can only pull off one real animation and then keeps on doing it for a while. Our rival Hau likes to just grin for ages and ages. That’s definitely in character though. Unfortunately this game probably has the weakest soundtrack among the main Pokémon games. In particular team Skull’s theme is just terrible and the main Alola theme is well below average as well. After seeing the incredible soundtrack of Pokémon Y it really feels like a step back. Most of the themes are still reasonable remixes but they are brought down by the first two themes. The game will probably last you at least 30 hours and then you still have the post game to deal with. It’s one of the longer Pokémon post games in the franchise with a lot of new Pokémon to catch in the form of the aliens that escaped. It even acts like an extra story in a sense and then you can go to the battle tower and challenge all kinds of opponents. Assuming you also want to collect all of the Pokémon, you are certainly going to be here for quite a while. Overall, Pokemon Sun is definitely a blast. While the new style of taking on Island challenges isn’t quite as fun as the normal gym leader system, it works well enough. It’s a decent gimmick but naturally not one that you would want to repeat for the next big installment. At the end of the day the gameplay is as great as always and that’s the most important thing. The game has a ton of content to get through and feels like a AAA game all the way through. I’d highly recommend checking it out. It’s time to look at Nintendo’s biggest mistake when it comes to the racing genre. A DK racer practically writes itself and just has a ton of potential. It’s a shame that the game squandered this so readily. Motion controls are what hold this game back and while it was an attempt by Nintendo it completely backfired. Sometimes just because an idea makes sense in concept doesn’t mean that it should be implemented. This is most certainly one of those times. There is no story mode of course but we do have a few different tournaments at the ready. There are 4 main tournaments and 2 bonus ones. The bonus tournaments allow you to pick your own stages to have a tournament with friends and another one allows you to randomize the stages. Both are handy when playing with friends but you don’t get a trophy for clearing them so there is no single player incentive. The main tournaments start out at 3 races and eventually go to 5. There are multiple difficulty levels but you are forced to start with Rookie so I just stayed at that level. Even then the game is surprisingly difficult. You have to stay at top speed and use a lot of boosts if you want to come out on top here. Of course, the Mario Party luck factor is around here so sometimes you’ll just get blasted by other racers behind you which is out of your control. Not much can be done about that. Each racer is using a pair of drums instead of a car. It is for this reason that instead of accelerating like normal you must beat the drums to keep going fast. You have to make the motion of hitting the drums constantly to stay at peak levels and just hit one drum to turn. Hit both at the same time to jump and hold down on the Nunchuk to activate your boost. Your boost is the most important skill that you have here. It can change a whole race and just know that you can extend your boost by hitting enemies or normal barrels. If you time the boost right you can keep it going for a very long time. Just focus on the combo and don’t use your boost unless you see something to bump into. There are a lot of games that can be called painful while you are playing them, but there aren’t many which you can say that in a literal sense. Your wrists will be absolutely exhausted after playing this game and I am convinced that it wouldn’t be healthy if you played this game long term. You can even expect some neck and back pain if you were straining a lot and too rigid while playing. Naturally the trick is to simply not play too hard but that’s easy to say until one of the computers passes you. Then it’s back to hitting the drums as quickly as you can. When it comes to the graphics then this game finally gets to shine. The character models are definitely on point and are appropriately high quality. The levels all look great and there is a lot of variety to be found here. Whether it be Jungles, Volcanoes, or even Space DK has you covered. The final level in the game is the hype space one and it is as cool as you may expect. I was pleasantly surprised at how much effort Nintendo put into some parts of this game, but maybe I shouldn’t be. In theory this was supposed to be their next big racer. The stage themes are pretty solid as well even if they aren’t all that memorable. I suppose you can’t have every game be quite as legendary as Mario right? 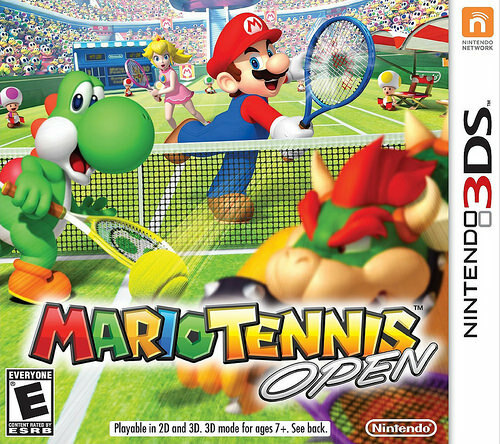 Aside from the tournaments which won’t keep you busy for very long, the game has other modes at its disposal as well. One of those is the challenge mode where you attack various missions and see if you can accomplish them. The missions are actually reasonably difficult as you can easily lose a stage if you’re not entirely sure how to approach it. Take one wrong shortcut and it’s time to retry. Between the various unlockables and the main tournaments, I think you’ll find that the game has a reasonable amount of content to back the pricing. All of this is only if you can get past the gameplay though. None of the other stuff will ultimately matter if you wrists simply can’t take the pressure. The items are fun though and if you use them right they will help you take a break. Build up some good boosts and just use it when you know that you’ll be able to keep it going for a while. During this time you don’t need to beat the drums. You have other items like armor and missiles but you have to keep shaking the controllers during this. Interestingly enough, the descriptions in the game say that you can stop shaking once you’re at max speed, but they must have meant that you could stop shaking for a moment because after that the car will immediately start slowing down again. So much for that I suppose. Overall, Barrel Blast really could have been a good game. It had a lot of the right pieces in place like the animation, soundtrack, and array of content to keep you busy. The one area where it went wrong was with the controls and you’d think that this wouldn’t be a big deal. It’s just so drastic that it ends up bringing the whole game down with it and that’s the unfortunate part. You actually feel like the game isn’t healthy to play. If you want some exercise for your wrist and don’t think that it will end up having a detrimental effect instead, then I suppose you may want to give this game a chance. However, if you’re playing this game in the first place because you want to relax while cruising through the levels then this isn’t the right game to add to your collection. There is nothing relaxing about constantly beating the drums. It’s time to finally go to one of Nintendo’s most classic franchises. DK even started before Mario which is pretty impressive. I got to play most of the old games so it’s cool to see the Country series return. I never really played the music games for the GC, but they are barely even referenced here so I’m confident that they won’t be missed. I ended up getting Tropical Freeze shortly after this one so it’ll be cool to see how it stacks up. I can safely say that Country Returns is a fun game and it’s easy to see that it’s another AAA title from Nintendo. The plot is that a mysterious being made of wood has shown up to take over the world. It mind controls all of the nearby animals and forces them to start stealing all of the bananas in the area. That’s diabolical if you ask me! They try to control DK, but it apparently doesn’t work on him. This may be a subtle shot at DK’s intelligence since he really looks…not too smart the whole time. Ah well, whatever works right? DK must stop these guys since they are insulting the bananas with their cruel schemes! There are 8 main worlds. There is also a 9th, but to get to that one you’ll need a lot of collectibles. That’s good for the replay value though. There are puzzle pieces and 4 Letters to grab in every level. Obtaining them all will require you to master all of the levels and show the world that you are a DK pro. Even without this, the main game should take you a reasonable amount of hours. If you beat every world in an hour, then that’s around 8 which is pretty good. Even if it’s a little less than that, it’s much better than Star Fox Zero’s <4 hour play time or Into The Nexus 3 hours. The game is reasonably difficult as well. I don't think I would say that it is quite as tough as Super Mario World, but it's been ages since I played that game so it's possible that it would be a lot easier nowadays. The gameplay is divided into a few different segments. You have the traditional platforming levels where you jump and dodge obstacles to get to the end. Where DK differs from Mario and the others is that you can roll into opponents to deal damage and you can shatter objects by slapping the floor. You'll grab onto vines to swing around and there are just many more elements than a traditional Mario game. It's made to be more complex and you have to consider a lot of variables. A great deal of the level is interactive as well with most bushes and other suspicious objects containing bananas and golden coins for you to grab. Some of them are just trolls, but you should check them all out. Gold coins in particular are very valuable in the game. Other parts of the level will see you head into a mining cart. One hit will destroy you so you have to jump with great precision. 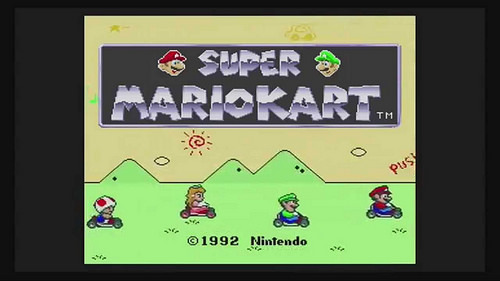 There's also a blue cart which only appears twice in the whole game. It's slightly different as when you jump, you actually leave the cart. Thus, you have to jump and keep moving to fall into the cart again since it will speed ahead of you afterwards. It's a little easier in co-op since you effectively have two chances to survive this way. There is even a whole boss battle modeled after this style. Surprisingly I don't think there were any under water levels. No worries, Tropical Freeze fixed that. The soundtrack isn't very lively or memorable for the most part, but I really like the villain jingle. Whenever their theme plays, you know that things are about to get real. It's a little cheesy/corny, but it's catchy and that's what counts. It is even used as the final boss theme which is pretty surreal. I can certainly say that I wasn't really expecting it when it occurred. The graphics are pretty solid. They're not amazing, but the character designs look sharp. It's fun to see a modern DK and there is something novel about seeing any Nintendo character on the big screen. Mario, Link, Kirby, DK, the games never look outright spectacular in the cutscenes despite the gameplay being super crisp, but just seeing them is really cool. Maybe it's because their series don't tend to have a lot of cutscenes, but it is more satisfying than seeing another franchise appear fully animated. When it comes to 2D side scrollers, Mario's still got the edge over everyone. He's just impossible to beat. I'd probably give Sonic 2nd place although I mainly like it for the boss battles. The actual platforming can be a little tricky at times. Kirby would probably be third because I love cheesing levels. If we just talk about pure gameplay, Kirby even beats Sonic. Then I'd put in DK. It feels like Mario, but the extra complexities do slow it down a bit. 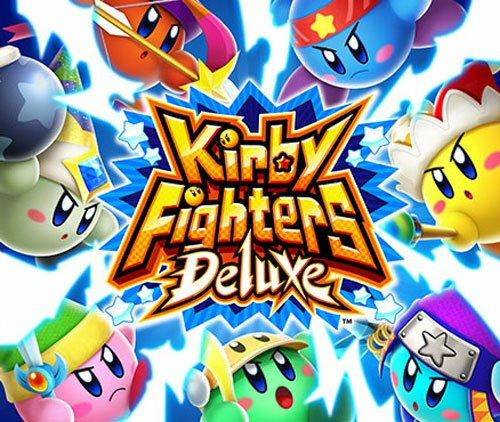 If you count one shot games that had side scrolling like Klonoa then the list can get quite long so lets stick to Nintendo for now. I'll merge Yoshi with Mario since they're so similar. DK may be the lowest on this chart, but that just goes to show how tough the competition is. Plus, Nintendo owns 90% of those series which is equally impressive. Really one of the best things about the game is how much content it has and how fun the levels are. It's a very high quality title that you can play for hours without getting tired. The plot may not be amazing, but the gameplay is sharp and that's really what you're looking for in a title like this. I didn't get to play the Gold Pyramid world since you need to do a lot of bonus stuff for that, but perhaps someday. 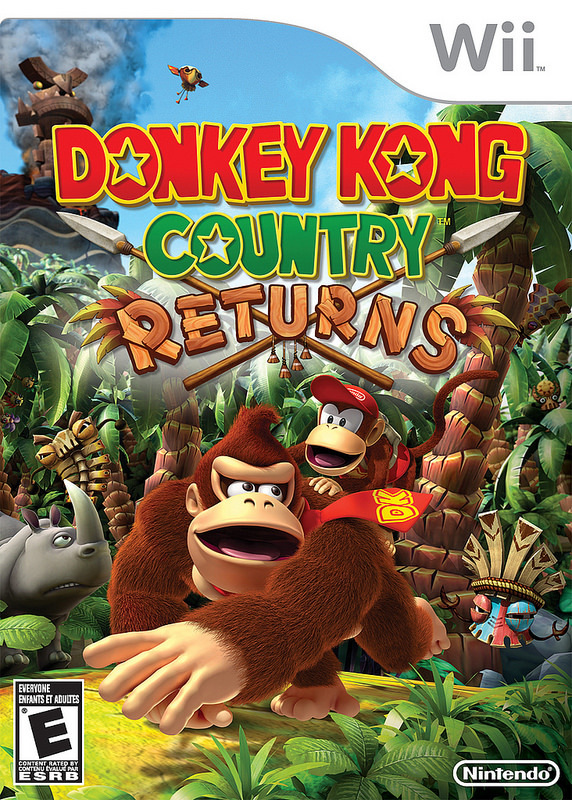 It's really good to have DK finally return to the home console and maybe we'll get a game for the Switch at some point. I don't really have any negatives with the game either. The levels all have a check point or sometimes multiple ones. If you die, you can always respawn close by. You can buy extra lives with the medals that you collect and the medals keep replenishing so getting them isn't an issue. The levels are challenging, but not unfair the way that Mario and the Lost Levels was or Mighty No 9. The levels are made to be difficult, but balanced. You'll get the hang of them with practice since the levels themselves never actually change. It's just really good game design. Overall, Donkey Kong Country Returns is definitely a fun game. I can see why DK fans were so thrilled when it finally came back. 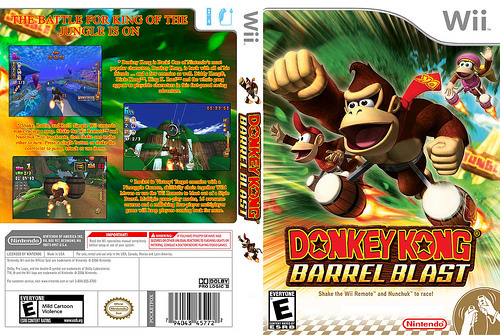 The title does a good job of bringing back all of the classic DK elements that fans were expecting. It may have had less barrel launching than I was expecting, but I don't mind since the actual platforming is really the fun part for the game. You can get the game for a pretty good price nowadays so I'd highly recommend it. There is a lot to do here after all and the level variety is excellent. You also won't be forgetting the main jingle of the game anytime soon either. It's simply too awesome and catchy. Now, it's time to check out Tropical Freeze! So far, I'd actually say that it's easier than Returns, but I've only conquered 2 worlds so far. There's still plenty of adventure left!